This sweet girl spent all of her free time on Saturday and Sunday sewing a Scarborough Fair Skirt with her grandmother. The pattern is by Alicia Paulson and it was very easy to follow. 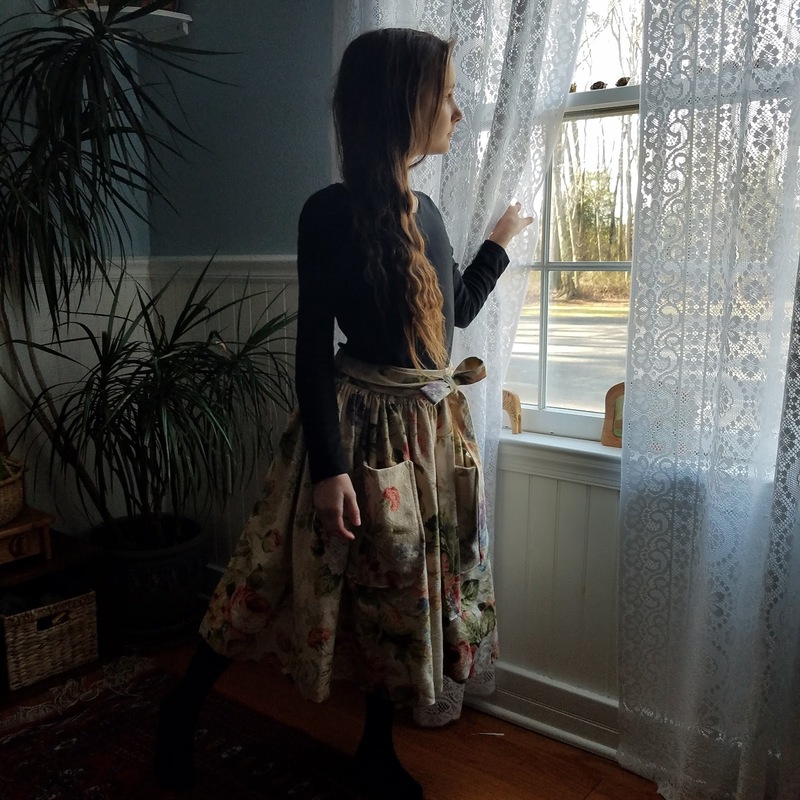 I purchased the fabric nearly ten years ago to use as a curtain in a house we were renting. I'm so glad that it is getting a second chance as a part of our little girl's wardrobe. Our daughter is already planning to make a second one! 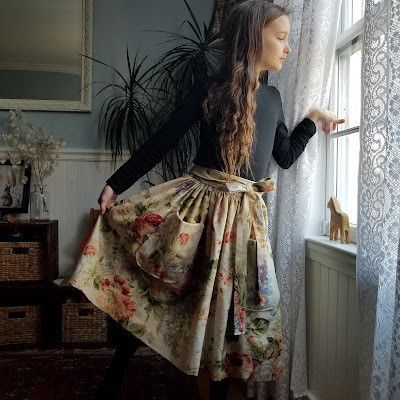 How beautiful your daughter looks in her new skirt. She did a beautiful job.